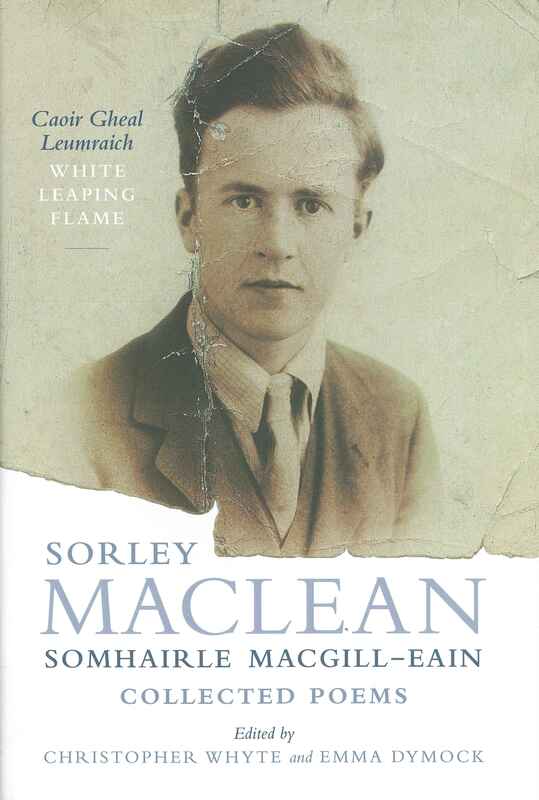 We’re looking forward to Polygon’s launch of Sorley MacLean’s Collected Poems, Caoir Gheal Leumraich / White Leaping Flame at the Library on Wednesday. The jacket image is so evocative – not the elder statesman of Gaelic poetry but the young man who knew that he was an ‘idealist democratic revolutionary’ when he was twelve. The photograph suggests vulnerability, eagerness and energy in equal measures. I always thought that poets would ‘collect’ their own poems with great care and discrimination, whereas in fact some are quite cavalier, even careless. When Carcanet Press first proposed to publish a collected edition of Sorley Maclean’s poems in 1988, I saw him literally gather together old proofs and photocopies, convinced he’d managed to mislay some important poems along the way. Some of them have at last been recovered. This new collection is a work of impeccable scholarship, edited by Christopher Whyte and Emma Dymock. It’s also a tribute of devotion to the poet who hauled Gaelic poetry into the twentieth century – albeit not single-handed – and assured its place in the great world of European poetry, in the company of Yeats and Blok and Valéry. It’s a fitting conclusion to this year of centenary celebrations.